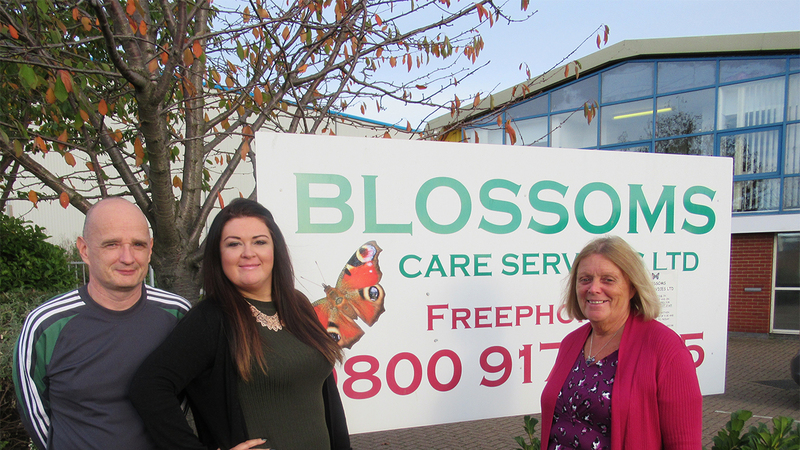 Lindsey Herbert (right) has been with Blossoms Care Services since they were established nine years ago. Blossoms Care Services support individuals with disabilities in their supported living. Blossoms also offer the local community care support as well as running a bespoke day service from the head office in Sittingbourne for those with more complex needs and severe disabilities. Lindsey Herbert say’s “My job role here at Blossoms is as Senior Coordinator, part of my role is to support the employer in the recruitment of staff. I found IPS International online when we were looking for an alternative training provider to provide our distance learning. The short courses IPS offer are a great training tool and yet another avenue that as employers we like to use to build on the knowledge of our staff to give them more confidence in what they do on a day to day bases. Examples of this would be a group we put on a CACHE Level 2 qualification in Understanding the Care and Management of Diabetes, this enabled the learners to identify the condition and after doing the course they felt better prepared to recognise the symptoms. My staff and I have completed a range of courses/qualifications for example; Information, Advice and Guidance, Diabetes, Awareness of Mental Health problems, Dementia Care to Working with Individuals with Learning Disabilities. My Coordinators have all completed the Information courses, this had a very positive result of enhancing their knowledge which in turn has benefited the company including running a smoother business process. We try to cluster the learning of our staff, so the course enhances their work practice in their specific field. It has given them more confidence which makes them better equipped to identify specific implications and enhances the employer training we provide. Working with IPS as a new training provider, we have found that the level of support we have received has been excellent, and the quality of the assessors is of an extremely high standard. Assessors are accommodating, adapting to times and dates that meet the requirements of the business needs as in the Care sector situations do change unexpectedly. The team is now focused, and I think that’s partly down to the fact that IPS present the learner with their achievement certificates and return candidates coursework in plastic folders instead of just handing back the learner’s workbooks without congratulating them. Credits gained from the Diplomas are a benefit to future learning and are used as evidence to their tutors, it is also something they can use as a reference tool. IPS meet employer’s needs; they are friendly and very approachable. I would recommend IPS to other employers. Since using IPS for Short Courses I would consider using them as a training provider for apprenticeships. Communication is key, we found the assessor’s communication to be excellent and they are always supportive.